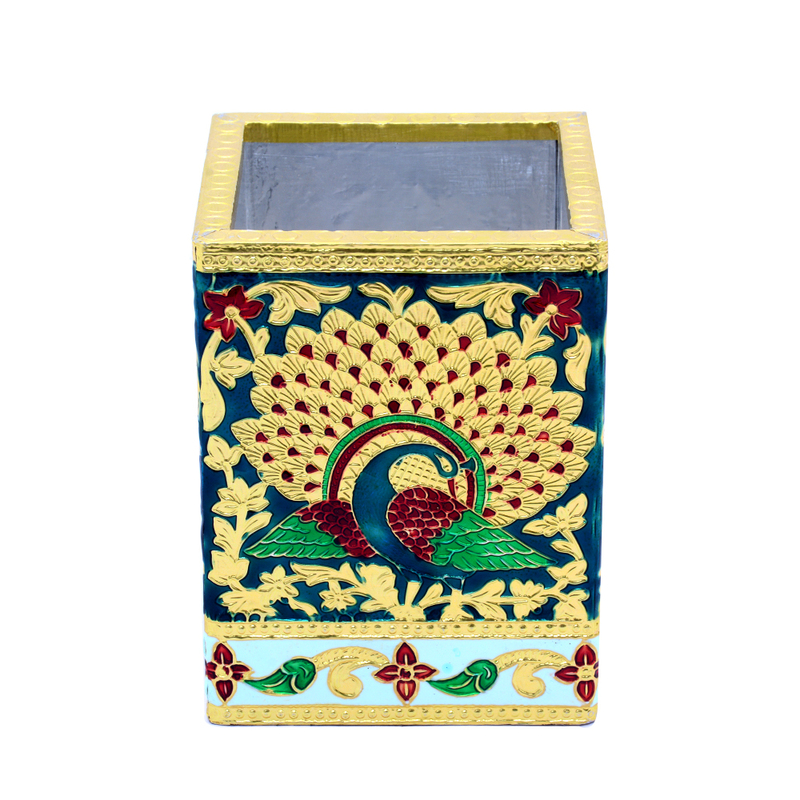 This Peacock Painting Meenakari Pen Stand is sure to score big with the exquisite peacock painting on its side, which is a reflection of the Read More..fine skills of the ethnic craftsmen. The intricacy of the design work present on a body of wood and metal makes this traditional pen stand a sight to behold. You can consider giving your workstation a makeover with this pen stand, or gift it to your boss, colleagues, or employees. Show Less..